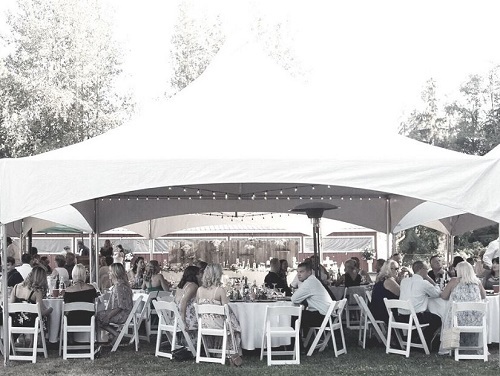 Titan Tent Rentals does everything to make sure the appearance of our tents is wedding quality every time. We not only spot clean during set-up, we fully clean our tents immediately after every event, ensuring they are always in top shape. And we always store our tents in a clean, heated environment which helps maintain the appearance between events. We take pride in providing outstanding customer service and have continually demonstrated our professionalism both during, and after an event. It is just important for us to be available to our clients while setting-up, as it is to make sure you’re completely satisfied when we’re done. In order to ensure set-up and take-down are completed with the utmost efficiency, we will conduct a free site inspection prior to every event. Our experienced people will arrive well-dressed and on-time, which can go a long way to minimizing the anxiety often felt around hosting an event.